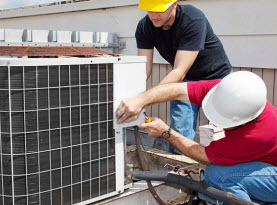 Ambient Heating & Air Conditioning is a full service HVAC system contractor, supplying an array of services to both commercial businesses and residential homes in Hampshire and Hamden County, Massachusetts. Since 2002 we have been fully licensed and insured to deliver fast, friendly and efficient services. Consistently upholding high moral standards, family-friendly customer service and superior execution on all services rendered, you will come to count on us as so many business owners and homeowners do. We use high-end equipment, tools, and products offered exclusively to licensed professionals to ensure our valued customers premium results. 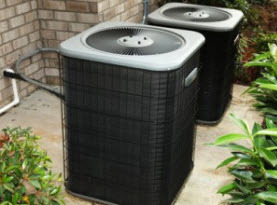 Ambient Heating & Air Conditioning furnace repair service extends to both residential and commercial needs. As the temperatures drop and Hampshire and Hamden County, Massachusetts experiences frigid cold temperatures not uncommon to the locals, it is a matter of survival that your furnace is operating efficiently. But like all appliances, it can suffer some issues and malfunctions, thankfully Ambient Heating & Air Conditioning has furnace repair service readily available as well as emergency furnace repair available 24 hours a day 7 days a week. Ambient Heating & Air Conditioning includes residential furnace repair service for the locals of Hampshire and Hamden County, Massachusetts. We understand the need to have a properly functioning furnace to keep you and your loved ones warm and comfortable during the bitter winters we face. Whether you are diligent with your maintenance or tend to forgetfully neglect your furnace, Ambient Heating and Air Conditioning trained professionals possess the expertise, training, skills to make your repairs as fast possible. Commercial businesses of Hampshire and Hamden County, Massachusetts can easily take advantage of Ambient Heating & Air Conditioning furnace repair. Keeping your customers and staff toasty warm is ideal for keeping business going. 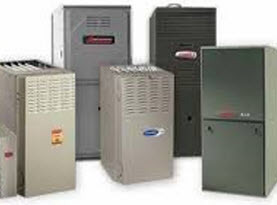 If it should suffer from malfunctions, you need the furnace repaired quickly and effectively. Ambient Heating and Air Conditioning is proficient in furnace repairs and can make the need repairs quickly and efficiently the first time. Emergencies rarely occur at a convenient time. Your home or business throughout Hampshire and Hamden County, Massachusetts can call on Ambient Heating & Air Conditioning for our emergency furnace repair service if the circumstances should arise. Your commercial or residential furnace in Hampshire and Hamden County, Massachusetts can be in need of repairs because of the below listed most common issues. –	Clogged and/or dirty filters: The filter is one of the most important components of your furnace, and keeping it clean and/or replaced on a monthly basis can improve efficiency and extend the life of your furnace. If the filter is dirty, it puts extra strain on the furnace to compensate for the restriction making it work harder to push the warm air through your home or business. This can contribute to some difficulties. –	Furnace wear and tear: Furnaces contain plenty of moving parts that over time eventually need replacing. Belts and bearings, for example, will deteriorate. If these parts malfunction, the furnace can experience additional malfunction and will require repairs. –	Ignition or pilot control: If the ignition control is failing it could be causing the heat to fluctuate off and on or not at all. 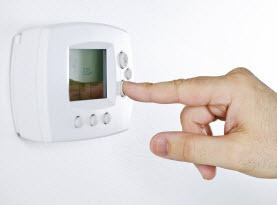 –	Thermostat: In many cases the thermostat is actually the issue with uncooperative furnace. –	Furnace Maintenance neglect: Maintenance plays an important role in the performance and lifespan of your furnace. It is recommended that you get a minimum of an annual maintenance service, but once before the season and then following the season is optimal. A maintenance service can catch minor issues before they become major dilemmas. If your commercial or residential furnace throughout of Hampshire and Hamden County, Massachusetts is in need of an experts touch, contact Ambient Heating & Air Conditioning to make your repairs quickly and efficiently.